Michelle Obama and Melania Trump couldn’t be any more different. The way they walk, talk dress… even the way they vacation is different. 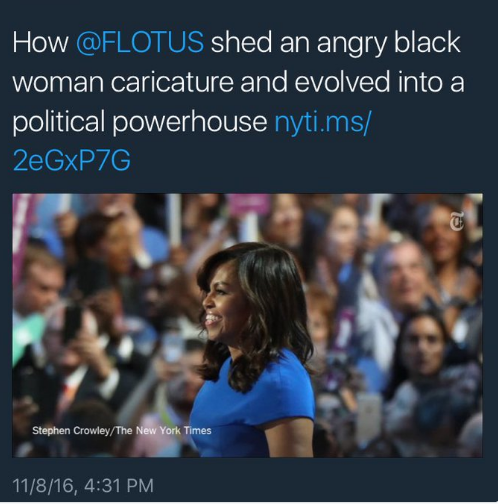 Michelle Obama was labeled an “angry black woman” during her husband’s Presidency. Even as far back as 2012, where a New York Times reporter wrote it in a book. Then just last December, Oprah Winfrey did an interview with Michelle to discuss the unfair ‘angry black woman’ label. Of course Michelle did think it was an unfair label, but if you google images for ‘Michelle Obama angry’, you will find so many angry faces to choose from that there has to be something to it. On the other hand, Melania Trump has been seen as a breath of fresh air in the White House. She is poised and elegant, even being compared to Jackie Kennedy. So, it is not surprising that Melania Trump continues to define herself as being the furthest from the last First Lady by not sticking the American taxpayer with any lavish jet-setting vacations like the former First Lady Obama and her family did. While the Trumps are in the White House, they have committed to fund THEIR OWN personal vacations. The Trumps prefer to vacation at their own personal properties. But as soon as Obama was elected, Michelle Obama began creating a reputation for being the ‘Vacationer-in-Chief’. There’s no denying she enjoyed jet-setting from country to country on the taxpayers’ dime, treating herself, her two spoiled daughters and even her mother to some of the most lavish accommodations the world has to offer. Judicial Watch has published a report that the cost of the First Family’s personal or largely personal travel during the last eight years comes to $85 million – but is likely to climb to $90 million after additional records are released, based on federal government records. This is a HUGE reason Americans have found it refreshing when Donald and Melania Trump announced that they would be paying for their own vacations while being the First Family of the United States. Other ways Melania is different than Michelle is in staffing. Melania said that she wants to keep her personal staff to a minimum and will only hire as many staffers as are absolutely essential to her job as First Lady. She is thinking of hiring another staffer that would bring her to 3 staffers. In contrast Michelle hired an enormous staff for herself which many deem unnecessary and extravagant. Michelle’s staffers were paid full salary and benefit from taxpayers’ money… Michelle needed 24 staffers on hand. With President Trump refusing his $400,000 salary and Melania being so frugal with her own needs and family vacations… we’re saving thousands of dollars a day already having fiscally responsible conservatives in the White House. YEAH! Please pray for President Trump.